When we shipped Mafia III last fall, we were honored by the community’s response. Since then, many of you have asked for more of Lincoln Clay’s action-packed adventure. That’s what we’re delivering with “Faster, Baby!” – more to explore, more to do while driving around New Bordeaux and another chapter in the life of Lincoln Clay. What does that mean? It means there’s a new town just begging to be busted up and driven through! You’ll do it with wicked jumps and new situational awareness driving that lets you take tight turns in slow motion. New weapons are added to your arsenal – including proximity mines for setting traps and a silenced SMG. And when the heat is on, drop a grenade behind you while driving to shake whoever’s on your tail. In short, “Faster, Baby!” adds more of the revenge-seeking you loved in Mafia III with new tools at your disposal. Coming on March 28th, “Faster, Baby!” features high-octane chases ripping through the countryside and new ways to cause vehicular mayhem. What’s different this time around when you play Mafia III? We’re getting straight to the action as we tell Lincoln’s tale. ”Faster, Baby!” takes place alongside events in the game… but in an entirely new town and with new gameplay experiences. A civil rights leader is murdered while investigating local sheriff, Walter “Slim” Beaumont. Other activists are next on the list – and it’s up to Lincoln and Roxy Laveau (daughter of Charles “The Voice” Laveau) to get to the bottom of what’s happening. Oh, sure, you’ll have your fill of Hollywood-caliber car chases, but some of the additions that come with “Faster, Baby!” let you carve corners in slow motion and add new firepower to slow enemies down. To play up Lincoln’s situational awareness that he’s honed in combat, you’ll be able to briefly channel that adrenaline into pulling off awesome driving stunts. So go ahead and thread the needle through traffic. With ”Faster, Baby!” we’re also introducing a couple new combat mechanics perfectly suited for causing destruction on-the-go. Namely, you’ll now have access to proximity mines so you can lay out traps on the backroads and the ability to toss grenades from your car while enemies are in hot pursuit. 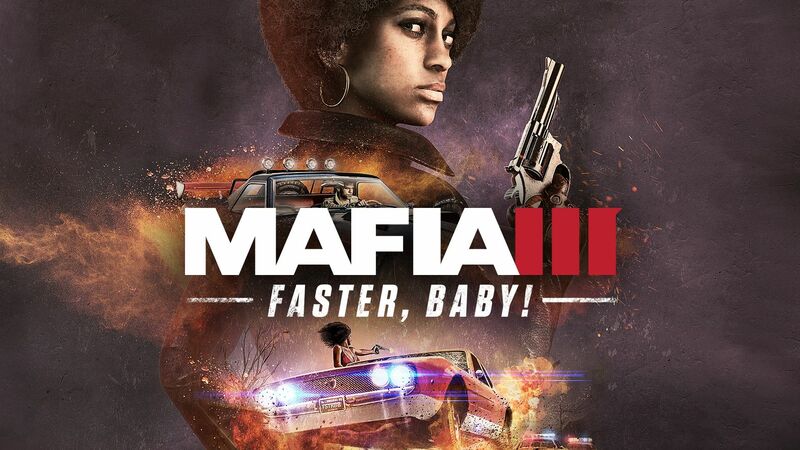 Get ready to enjoy some southern hospitality, Mafia III-style, when the “Faster, Baby!” DLC rolls into town on March 28th.